• Assist with office administrative tasks including, sorting incoming mail, greeting visitors, and answering the telephone. • Assist in the preparation of constituent responses. • Respond to requests from constituents. • Attend briefings, hearings, and special events. • Gain valuable Hill experience and learn about the federal legislative process. 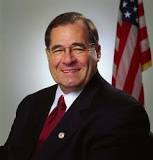 Congressman Jerrold Nadler represents New York’s 10th Congressional District, which includes the residents of most of the Upper West Side, Lower Manhattan, and sections of Brooklyn. Congressman Nadler is the Ranking Member of the House Judiciary Committee, where he has served as Chairman or Ranking Member of its Subcommittee on the Constitution, Civil Rights, and Civil Liberties for 13 years and also served as the Ranking Member of the Subcommittee on Courts, Intellectual Property, and the Internet.